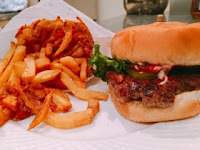 When I heard about the line-ups (and disappointment when patties run out) at the Burger’s Priest, I knew I’d want to try the establishment, but the hype would have to die down first. Now that multiple locations have opened across Toronto and even Uber Eats delivers their product, my desires are fulfilled. My first bite was into the California classic ($8.87 with an extra $5.62 for a combo) after an evening of drinking by their Adelaide location. Luckily, there was no queue (compared to lunch hour) and within twenty minutes I was biting into a soft juicy meat patty. 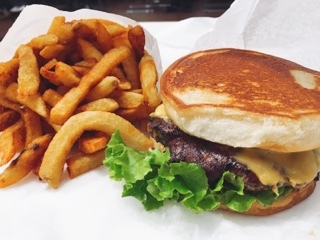 The burger was decadent, the relatively thick patty sandwiched between a buttered and toasted bun resembling grilled cheese bread. Although the beef patty didn’t have that lovely char and smoky barbeque taste I love with burgers, there was still a strong beef flavour to make it standout. Containing cheese, sautéed onion, lettuce and tomato, the burger had all the classic toppings. However, the “secret sauce” noted on the menu became lost. Altogether, a delicious burger. My second experience with Burger’s Priest was a delivery through Uber Eats from their North York outpost. The wait was understandably much longer, so long that I was a bit worried the sandwich would arrive cold. 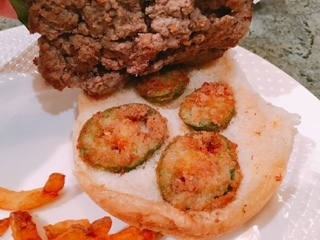 However, the regular hamburger ($6.83) was still warm, albeit the “smoke” ($1.79) or slices of deep-fried panko crusted jalapenos became soggy. 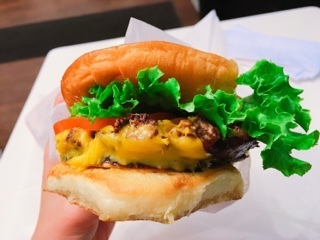 With the regular bun, you could taste the beef patty more although the burger didn’t standout compared to other premium fast food eateries – the buttered and toasted bun really makes it special. The four small rounds of jalapenos was a bit disappointing adding a light heat but no crunch or smoke. 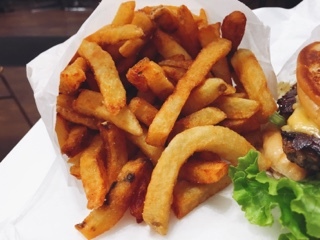 Their fries, although somewhat expensive to add on, is a huge portion and can easily be shared. The fresh cut potato is soft with crispy edges (very similar to Swiss Chalet’s fries) and salty enough that no condiments are required. All in all, you’ll get a good meal at the Burger’s Priest, their product is good. However, would I ever wait an hour to have it? Never … it’s not that good. Luckily, for you and I, the hype has died down. Long live the Priest.